When Crystal Palace Park was laid out c.1852, the original road from Dulwich to Beckenham was routed in a curve around the northern end of the Park. 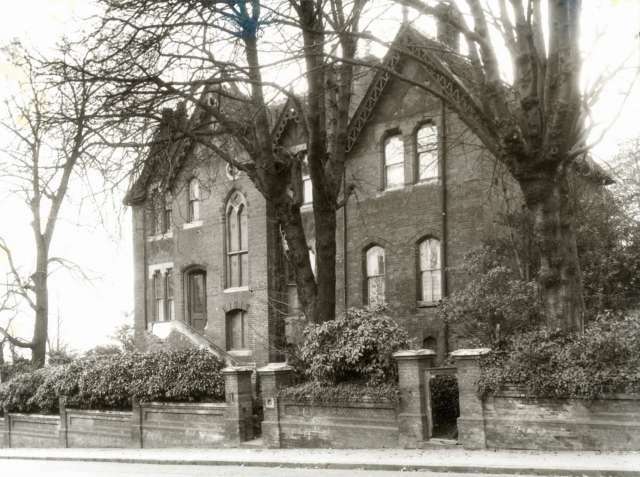 From 1871 the south side was developed with a series of impressive houses, built, as were most of the houses by John Norton, the Architect of the Crystal Palace Estate and a pupil of Pugin. 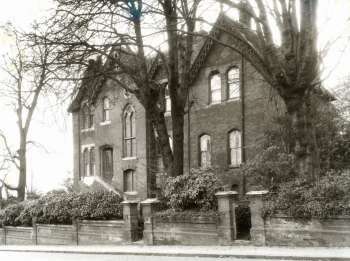 This one was called 'The Vale' for many years and was originally the home of Thomas Muggeridge, a corn dealer. Divided into flats around 1920, it was demolished in 1977 when a new entrance to the park, Vale Gate, was created. Copyright: Greater London Authority (LMA).